Soul Fitness feeds the spirit of health minded men & women through transformative programs, inspirational workouts and powerful events. At Soul Fitness we believe in training holistically and inviting God into every aspect of our lives; even our physical fitness. 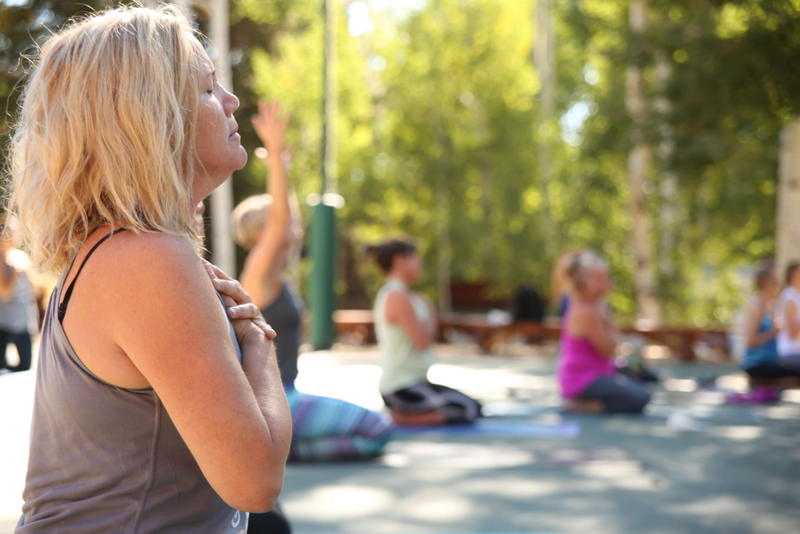 If you've been looking for a way to connect deeper to God with your whole mind, body and soul- Soul Fitness classes & retreats are perfect for you! Soul Fitness classes are so much more than a typical workout or getaway. Our events are uniquely crafted to improve your fitness, nourish your soul and provide connection points to both God and like-minded women. The mission of Soul Fitness is to feed the spirit of health-minded men & women. We do this by providing impactful programming that activates Truth, love and the power of the Holy Spirit in our lives. Our programs focus on comprehensive wellness, nutrition, mentorship and seasonal topics. Each curriculum is easily accessed on our interactive online platform, ensuring that anyone, in any walk of life, can participate and cultivate an intentional life with Jesus. Want to go deeper in your faith or step into a new chapter of wellness? Then one-on-one coaching may be just what you need. Whether it’s a few small steps and health tips that set you on your way, or more in-depth one-on-one spiritual and wellness coaching, we’ve got something for everybody. Click below to schedule a FREE consultation with Amber. The Lord will guide you continually, watering your life when you are dry, and keeping you healthy too. You will be like a well-watered garden, like an ever-flowing spring. Revive your soul, and connect with God through Christian meditations. With a Masters Degree in Health Education and over twenty years of experience in the health and wellness industry, Amber Jaworsky inspires women to live healthy, spirit-filled lives. Her heartbeat is to empower women of all ages with confidence by utilizing her spiritual gifts of leadership, teaching and encouragement. She strives to refresh those she is around, and her positive energy and joy blesses those that she works with. Sign up to be the first to know about our program events and classes.